The Atlantic City Airshow five hours, free and great for families - The Star-Ledger - NJ.com | The Skinny: “Thunder over the Boardwalk” the Atlantic City Airshow, each year attracts Atlantic City's largest crowd for a single event. Last year an estimated 800000 people traveled from across the country to view the nation's biggest midweek airshow. Hightower Thanks All for Successful AirVenture from News from EAA AirVenture Oshkosh | On Tuesday morning, EAA President/CEO Rod Hightower thanked volunteers, exhibitors, air show performers and EAA staff for a successful AirVenture Oshkosh 2012. 10 Greatest Moments in Flight from SPACE.com | Ten of the greatest moments in flight took humans from flying in hot-air balloons to stepping foot on the moon. Pipistrel Receives Two Prestigious Awards At Oshkosh from Aero-News Network | Recognized For Engineering And Personal Aircraft Design The Pipistrel Aircraft Team received two prestigious awards at AirVenture, which wrapped up on Sunday. The company was the recipient of the 'Dr. August Raspet Memorial Award', which has been presented annually by the EAA since 1960 to "a person who has made outstanding advancements in the field of light aircraft design." Oshkosh Attendance Down Approximately 40 Thousand Compared To 2011 from Aero-News Network | Members Express Concerns About Premium Chalets On The Flightline EAA president and CEO Rod Hightower was upbeat in his closing news conference Sunday at Wittman Regional Airport, but there is some growing dissension among the rank-and-file members of the EAA about the direction the event, and the organization, is going. 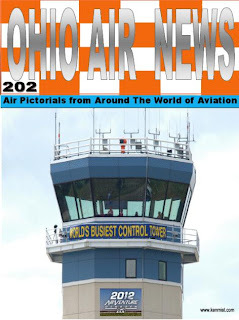 Reflections On AirVenture 2012 from Aero-News Network | Industry On Hold, And Barely Holding On, As The Economy Continues To Drag As we wrap up AirVenture 2012, I look back on my excitement to be coming and then my concern on leaving. 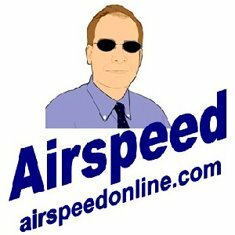 I was really hoping to see new and innovative products announced by the manufacturers (Airplane, Avionics, and Powerplants). I was hoping to see considerable improvement in customer demand. I was hoping that the crowds would be stronger than last year. UAV Navigation To Sponsor Reno Race Plane from Aero-News Network | Company To Apply Rich Experience In Championship Air Races and AirShow UAV Navigation will sponsor its CEO and co-founder Guillermo Parodi's jet aircraft in the upcoming Reno National Championship Air Races and Air Show in September 2012. 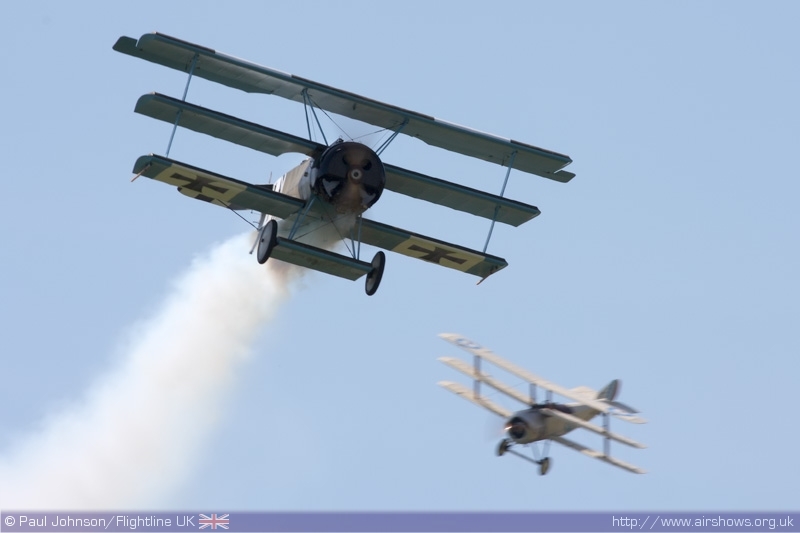 Parodi will be flying a Cassutt Special III dubbed, "N-A-RUSH." US recovers apparent remains of WWII airmen - KTVL | OTTAWA (AP) -- U.S. divers searching the wreckage of a U.S. Army amphibious plane that went down in the St. Lawrence River during World War II have recovered what appear to be remains of the crew that went missing nearly seven decades ago. 475,000 Takeoffs and Landings a Year - airspacemag.com | The Summer Games will bring 4,000 additional aircraft to London's airports. Find out what it takes to keep Heathrow running smoothly on a normal day. U.S. Navy F/A-18 Added to Thunder! The F/A-18 Super Hornet is a cutting-edge, multi-role, strike fighter with the capability, flexibility and performance necessary to modernize air and naval technology for the United States. The Super Hornet provides the warfighter with today's newest advances in multimission capability. The Super Hornet entered combat on its maiden voyage in 2002 and remains combat deployed in the Global War on Terrorism. THUNDER provides the up close and personal experience with this aircraft on static display as spectators can tour and ask the pilot questions on this unique fighter. THUNDER is excited to share our nation's military technology, past history and support with thousands of fans this coming weekend. Premium seating tickets are starting to sell out, so purchase your preferred seats before it is too late. Come help us make Michigan THUNDER! General Admission: General admission tickets are good for one full day of aviation fun! Advance tickets are sold for a discounted rate online prior to the event. Prices will be increased at the gate. "Fifteen Score" UCAP #300 from Uncontrolled Airspace: General Aviation Podcast | The boys celebrate their 300th episode from one of their favorite places: The deck of EAA Radio on the flightline at AirVenture Oshkosh. The inevitable shot of the Olympic opening ceremony from Flight Image of the Day by Dominic Perry | Like the title says, here's a shot of the Red Arrows doing their thing over the Olympic stadium last Friday as part of Danny Boyle's opening spectacular. 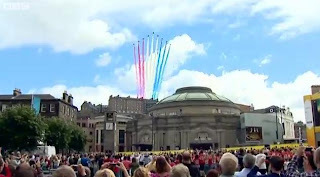 Choreographing Olympic Airspace | The Daily Planet - blogs.airspacemag.com | Flying into London for the Olympics? Get in line. Navy's X-47B UCAV in Debut Flight at Pax from Ares by Graham Warwick | Northrop Grumman's X-47B unmanned combat aircraft system demonstrator has made its first flight on the East Coast, from the US Navy's test center at NAS Patuxent River in Maryland. Video: Red Flag night launch and recovery time lapse (spanning about 5 hours or so in just 3 minutes). 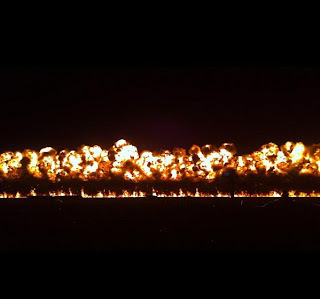 from David Cenciotti's weblog | Brought to my attention by Jeff Merkowitz, the following video combines about 5 hours of night launches and recoveries from Nellis Air Force Base, Nevada, north of Las Vegas, in just 3 minutes of mesmerizing footage. FROM TURIN TO DEFEND THE TITLE OF VENETO SAMPLE PARAGLIDING from Aviation-Report.com (translated) | Under the auspices of the Italian Federation of Free Flight, from 27 July to 2 August in Borso del Grappa (Treviso), the Aero Club will host the Italian Championship of Montegrappa paragliding event on the calendar of the Federation Aeronautique Internationale. An Outstanding AirVenture Week from News from EAA AirVenture Oshkosh | EAA President/CEO Rod Hightower met with the media Sunday afternoon, reporting a very solid convention that established a new standard for the association and what can be expected in the future. 2012 Aircraft Award Winners from News from EAA AirVenture Oshkosh | 2012 Aircraft award winners from EAA AirVenture Oshkosh. "Worn Out" UCAP Daily #298-foxtrot from Uncontrolled Airspace: General Aviation Podcast | Jeb Burnside, Dave Higdon and Jack Hodgson pause at the edge of Wittman Field to catch their breath and review the recent events at AirVenture Oshkosh 2012. Young Eagles Raffle Winners Chosen from News from EAA AirVenture Oshkosh | The names of six lucky winners of the 2012 Young Eagles Raffle were drawn Sunday afternoon at EAA AirVenture Oshkosh. EAA President/CEO Rod Hightower and Kevin Keling of the Ford Motor Company announced the winners. Living Legends of Aviation awards conferred - AOPA | 'Skytalker' Danny Clisham hosted the annual ceremony that also serves as a fundraiser for the nonprofit Kiddie Hawk Air Academy. The academy is dedicated to sparking and developing children's interest in aviation. AirVenture 2012 Photo Gallery from AVweb Top News | As EAA AirVenture 2012 winds down, we make time for one last tour of the grounds  and take in the spectacular nighttime air show. GoPro's Super Saturday by eaavideo.org | GoPro entertains aviation enthusiasts with their spectacular in-cockpit and on-wing camera angles. EAA Airventure features rare aircraft - Fox11online.com | OSHKOSH - Aviation lovers will soon pack up and leave the EAA Airventure grounds in Oshkosh. 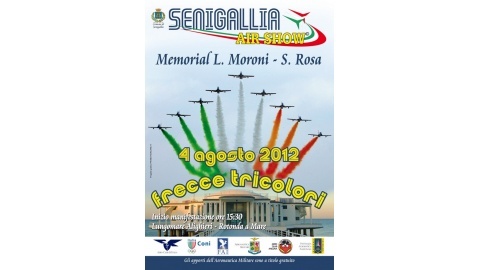 The event wraps up Sunday with Family Day, and the final air show is scheduled for 2 p.m.. Many pilots took to the skies during the 60th annual Airventure. Podcast: EAA's Jeff Skiles on Eagle Flights from AVWeb Podcast - Podcast | Jeff Skiles, EAA's new vice president of chapters and youth education, talks with AVweb's Mary Grady at EAA AirVenture about new programs in the works to help mentor new pilots and offer introductory flights to adults.This podcast is brought to you by Aspen Avionics, Aviation Insurance Resources, Avidyne, and Bendix/King by Honeywell. 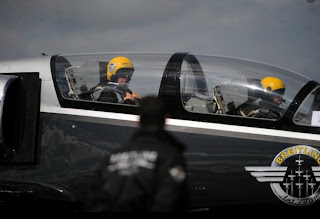 Photos: OSHKOSH 2012 Continues from Flight To Success by Karlene Petitt | Women Soar... the ladies are learning, dreaming, ! 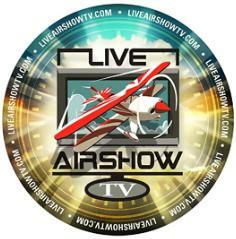 Hidden Jewels Of AirVenture from Aero-News Network | Where To Go And What To See When Your Tired Of Airplanes. Is That Possible? Though I'm sure it's rare, there may be a time when you have had your fill of airplanes at Air Venture. So what is one to do? Surprisingly there is quite a lot to hold your interest, whatever that might be. Let's touch on just a few of the hidden jewels on the grounds. B-17 gunner, POW, retiree with 27 medals - Tampabay.com | PALM HARBOR — In February 2011, Norbert Swierz slid into the belly of a vintage B-17 bomber for the first time in more than 60 years. With national media filming his every move, the thick man with a thick voice shouted over the plane's four propellers. Warrior and Witness: Doolittle Raiders Honored by Crowd; Japanese Visitor Saw Them Over Homeland from News from EAA AirVenture Oshkosh | The crowded Warbirds in Review bleachers were filled with AirVenture visitors yesterday who repeatedly gave two members of the Doolittle Raid standing ovations. From Young Eagle to U.S. Air Force C-5 Pilot from News from EAA AirVenture Oshkosh | In 1998, Matt Anger was a busy high school senior, involved in athletics and getting ready to go off to college in the fall. Homebuilt Cub: A Dream Fulfilled from News from EAA AirVenture Oshkosh | At age 18 Steve Finney owned a 1939 J-3 Cub. After that one was gone he wanted another, but he wanted it to be brand new. AirVenture photos - You Like Airplanes, too? 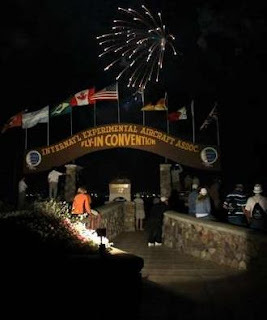 On behalf of those who could not go to AirVenture this year, THANK YOU to all the attendees that have been Tweeting (#OSH12) from onsite. Imagine. Years ago, before social media, we had to wait for friends to get back before we got to see pictures and get some of the stories. Flying Stories for July 27, 2012 by Around the Pattern | Photo 3 is a view of the Oregon Aviation History Center on the airport. The Center is nice enough to host our fly-in group. Their hangar/display area was made available to us for our meetings, airport meals and banquet. Red Bull Stratos: Test Jump Two from Aerial Sports Feed | Felix Baumgartner, the Austrian B.A.S.E. Video: Hanging (Upside Down) with the Aerostars from AVwebFlash Current Issue | AVweb's Adam Cutler gets some attitude issues when he meets up with Paul Hornick of the Aerostars and takes a turn at the controls of a Yak 52 TW.This video is brought to you by Bose Corporation, Aviation Insurance Resources, Bendix/King by Honeywell, and ForeFlight. Ju 52 Trimotor Brings European History from News from EAA AirVenture Oshkosh | If you're a fan of war movies of a certain era, you saw the Ju 52 trimotor that is at AirVenture in Where Eagles Dare, among other celluloid credits, including the more recent Operation Valkyrie. F/A-18F at Farnborough from Flight Image of the Day by Dominic Perry | Nice shot here from user flyer1 on our AirSpace gallery of the US Navy Boeing F/A-18F at the Farnborough air show. New England Air Museum displays restored F-104C - Foothills Media Group | WINDSOR LOCKS — There's a “new” airplane now on display at the New England Air Museum. After many years of restoration work, this Lockheed F-104C Starfighter was recently moved from the Museum's restoration hangar to the military display hangar. Cockpit Footage of The Red Arrows Flying Over London for the Olympics Opening Ceremony - www.youtube.com | The Red Arrows fly over the Olympic Stadium and Hyde Park for the opening of the London 2012 Olympic games. 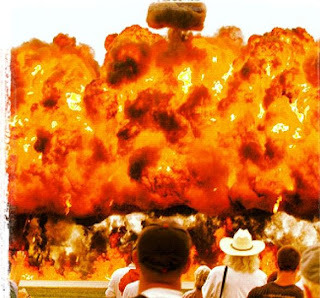 Airventure - Jim O'Day - Wall of fire. B-17 flight to Rantoul delayed - Champaign/Urbana News-Gazette | The arrival of a World War II-era bomber due to fly into Rantoul Friday afternnon has been delayed, possibly until Saturday. The B-17 bomber Texas Raiders was scheduled to fly into the Rantoul airport Friday afternoon and will stay through Tuesday. 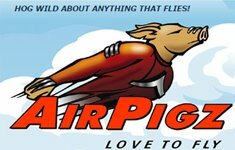 Rancho Murieta Airshow is BACK!